He received the most likes in a few days via our Instagram account. 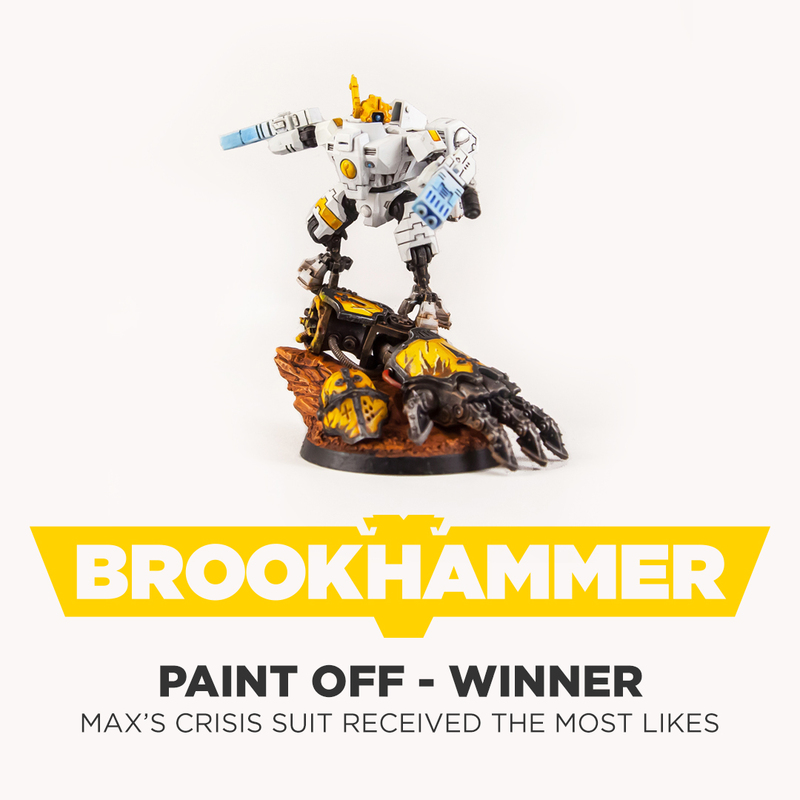 We also randomly selected one person who liked Max’s suit (that also follows our account) and reached out to ask what faction we should paint next! Once we have that, Max will pick the next model. We look forward to starting our second Paint Off in the new year!